February is American Heart Month. A month to not only show others how much you love them, but also a time to take a look at your own heart. Cardiovascular disease (including heart disease, stroke, and high blood pressure) is the number 1 killer of women and men in the United States. Strategies for better heart health include diet, physical activity and blood pressure monitoring among other preventative measures. We’ve found some heart healthy meals in Huntington Beach that can help you and your loved ones stay Heart Healthy this February and all year long. The American Heart Association has recommended that people eat fish at least twice a week. Salmon, lake trout, herring, sardines, and tuna contain the most omega-3 fatty acids, a beneficial nutrient that reduces inflammation throughout the body. 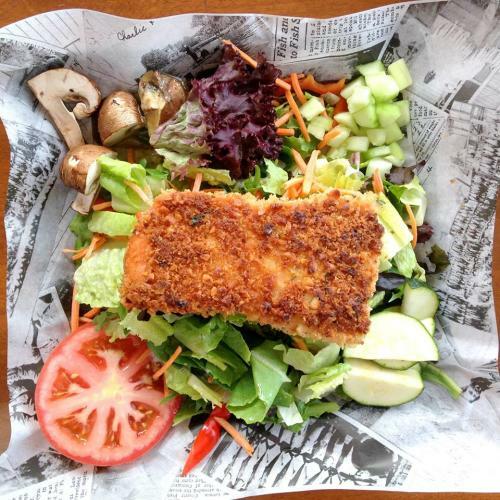 You can find many of these heart healthy fish options at Fish Camp located on Pacific Coast Highway in Huntington Beach. After picking from the Farmed BC Atlantic Salmcaffon, Wild Fijian Albacore Tuna, and Farm Raised Idaho Trout, you are prompted to choose “how you want it”. We recommend the salad (full of healthy greens and tomato!) or the seafood plate, loaded with organic brown rice (whole grains protect against high blood pressure!). Finally, decide on a preparation method and enjoy! Good news! 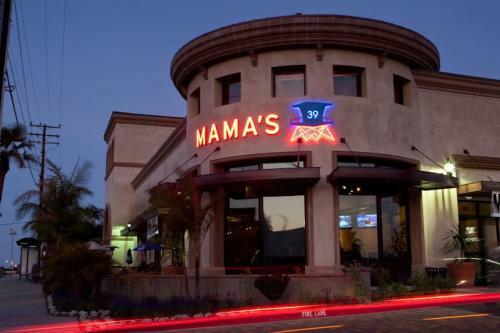 Mama’s on 39 serves breakfast all day. That means you can divulge in a steaming hot bowl of oatmeal all weekend while Mama’s is open. Served with fresh seasonal fruit or add a side of scrambled egg whites and fresh spinach, this nourishing food will fill you up without the guilt. Oats contain a certain type of fiber known as beta-glucan, which has been proven to lower cholesterol levels, and even reduce the risk of cardiovascular disease. One of the oldest heart healthy debates is focused on a personal favorite, red wine. As long as it is drank in moderation, doctors agree that the antioxidants in red wine increase levels of high-density lipoprotein cholesterol (“good” cholesterol) and protects against artery damage. 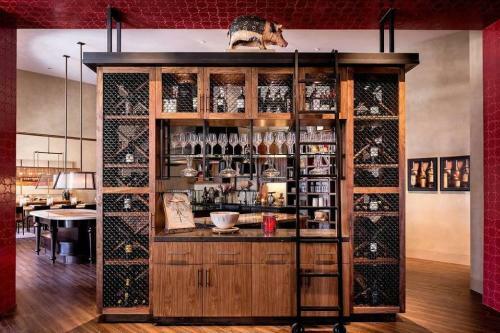 Searching for one of the best red wine collections in Huntington Beach? Stop by Watertable at the Hyatt Regency Resort and Spa and try not to gasp at their unbelievable wine list, featuring over 60 of the world’s best reds. With the WineEmotion dispensing system in place, Watertable is able to open any bottle of wine on their extensive list, with a two-glass minimum, making that bottle available for others to enjoy. Salads are already considered a typical healthy meal option, but why not make it a heart healthy bowl of mixed greens? 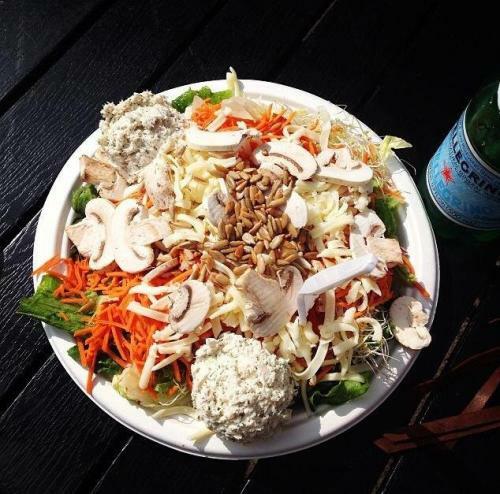 Jan’s Health Bar combines tuna, cucumbers, tomatoes, carrots, sprouts, mushrooms, cheese, sunflower seeds, and mixed greens for the ultimate Jan’s Classic Salad. Add nutrient-dense avocados, which are full of monounsaturated (healthy) fats. The tuna provides high quality protein, B-vitamins, and selenium to the mix, reducing heart disease risk and offering a rich source of heart healthy omeg-3 fatty acids. Vegetarians can find solace in the menu at Secret Spot as all items can be prepared using tofu or vegi turkey. Tofu derives from something called soya protein, which is believed to help lower bad cholesterol levels. It is also a great source of protein and contains all eight essential amino acids. To get your fill of daily nutrients, we recommend ordering Secret Spot’s Lemon Pepper Wrap. 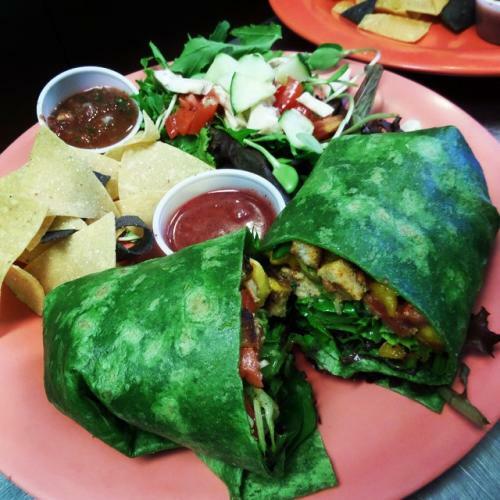 A local favorite, the spinach wrap includes tofu with avocado, tomato, black beans, lemon pepper, and hot sauce. All of the ingredients in this wrap are heart healthy gold. Yes, even hot sauce, while intake should be limited due to sodium levels. One cup of black beans provides over 4 grams of soluble fiber, found to help lower blood cholesterol levels. Also, Lycopene, an antioxidant that gives tomatoes their rich red color, has been shown to reduce the risk of heart disease. Want to get heart healthy fix in between meals? High tea consumption is proven to lead to a healthy heart. According to data published in 2012 in Food & Function, black and green tea may reduce the risk of coronary heart disease and stroke by 10% to 20%. 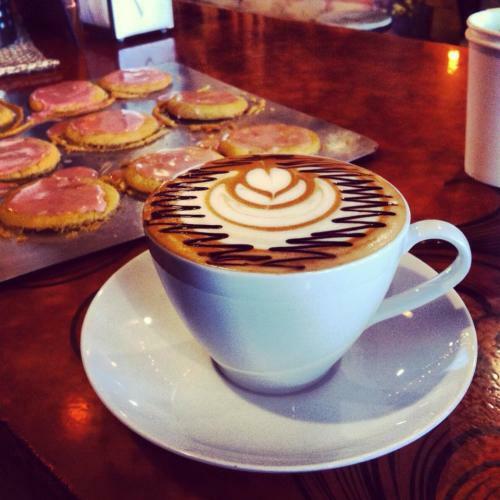 Caffe Caldo serves a wide variety of black and green teas, brewed to perfection. 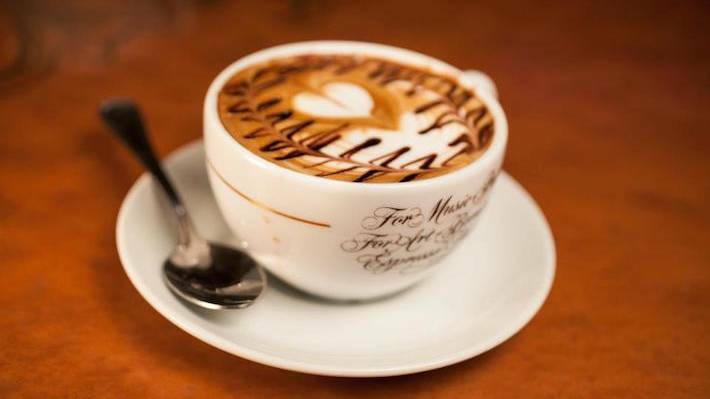 Make it a latte using almond milk or add dark chocolate for a tasty treat that is high in unsaturated fatty acids and flavonoid antioxidants.